When I joined the Marion Institute team and was first exposed to biological medicine in 2013, I found that much of the theory and practice of biological medicine already fit within my paradigm of individualized, integrative holistic healing. I was already receiving care from a chiropractor, eating mostly organic whole foods, avoiding pharmaceutical drugs and antibiotics, limiting my exposure to toxins in my personal care products and practicing yoga and meditation. However, the field of biological dentistry, an essential part of the practice, was completely new to me. For the majority of my life, going to the dentist has been a stressful and somewhat confusing experience. Beyond following my dentist’s recommendation to brush twice a day and floss regularly, I was baffled as to why sometimes I received a clean bill of health and other times I would need a cavity filled. One of my favorite things about understanding wellness through the lens of biological medicine is that our bodies are meant to be healthy. When we disturb the balance of health through our toxic load, we have the ability to become well again if we change our patterns and give the body the nutrients that it needs. However, I had not been able to fit this theory of wellbeing into my dental health until I was exposed to biological dentistry. Just as scientists are finding a connection between the gut microbiome and overall health, there is an established link between our oral microbiome and our body systems. I am not a medical professional, but I hope that some of the information that I have learned in layman’s terms may help others make informed decisions about their dental care. Say “NO” to silver fillings. Many fillings still contain mercury and most dental insurance companies do not cover alternative filling materials in back teeth. Sometimes referred to as “silver” fillings, amalgam fillings consist of approximately 50% mercury along with a combination of silver, tin and copper (Source). Biological medicine practitioners recommend the safe removal of mercury amalgam fillings using a careful protocol to limit the potential ingestion or inhalation during the removal process. Due to the environmental threat of exposure to the soil, water, surface water and air, amalgam particles and extracted teeth are treated as a biohazard and dentists must comply with strict disposal rules. Make sure you are getting enough vitamin A, D, E & K, calcium and phosphorus, through whole foods, sun exposure and/or supplements. Nutrition plays a major role in all of our body systems and our dental health is no exception. In the 1930s, Dr. Weston Price studied indigenous cultures around the world and found that native people have fewer cavities and stronger teeth than modern “civilized” cultures. His theory was that traditional diets were significantly higher in fat-soluble vitamins (A, D, E & K) calcium and phosphorus (Source). Tooth enamel wears down as we age and these minerals are necessary to remineralize and repair our teeth. Eating whole unprocessed foods high in these vitamins and minerals is vital to dental health (Source). Essential to calcium absorption, vitamin D plays a large role in bone and teeth health and is naturally produced during skin exposure to sunlight. One theory as to why tooth decay may be on the rise is that as a culture we are not getting enough natural vitamin D from the sun. This is due to a number of factors including the fact that children are increasingly using electronic devices indoors instead of playing outside, the average employee is tied to a desk indoors during the sunniest times of day, smog pollution blocks UVB rays and, of course, the use of sunblock and sunscreen to reduce our risk of skin cancer. A blood test by your biological medicine practitioner will help determine if additional supplementation is needed or if you may benefit from increased sun exposure. Limit your sugar intake. When the bacteria that line your teeth encounters sugar and other fermentable carbohydrates, the pH of your mouth becomes acidic, tooth decay occurs and enamel is destroyed (Source). Avoid processed sugar and when eating natural sugars (i.e. fruit), brush and floss as soon as possible. Look at your toothpaste ingredients. Biological dentists do not recommend the use of fluoride, a toxic poison that may lead to cancer, developmental and reproductive toxicity, organ system toxicity and neurotoxicity. 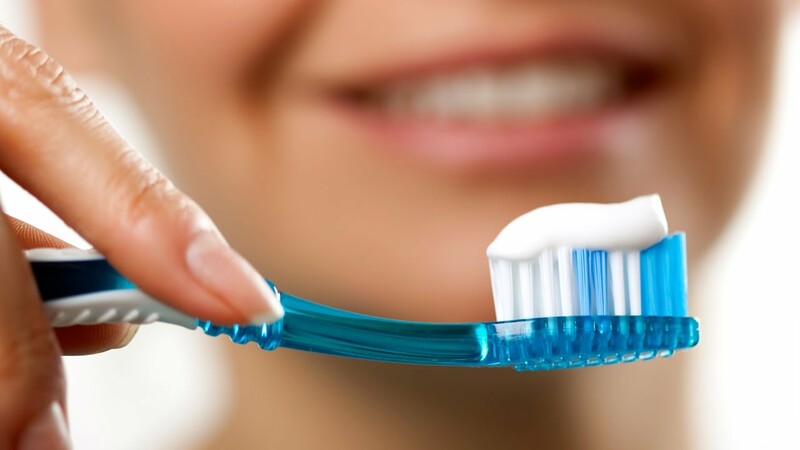 A helpful article identifying common toothpaste ingredients can be found on Dr. Mercola’s website (Source). Research root canals. Dr. Thomas Rau has found dental factors have contributed to the condition of approximately 90% of the breast cancer patients that he has treated, with root canals being a major cause of inflammation and degeneration. Root canaled teeth are essentially dead and pockets of bacterial infections may develop under the teeth. These sites of infection may not be visible on a conventional x-ray and antibiotics are not able to penetrate into the affected tooth. If a chronic infection develops, the immune system function may become depressed and the bacteria may migrate down to other areas of the body (Source & Source). Try oil pulling. A spoonful of coconut oil can pull out bacteria and other debris around and in between teeth more effectively than brushing, flossing and gargling with antiseptic mouthwash. An easy addition to your daily routine, swish a spoonful of coconut oil around in your mouth for 15-20 minutes prior to brushing your teeth.